As part of the in-house design team, I create on brand artwork from concept to final production. I produce annual catalogs, packaging, print advertisements, brochures, sales materials, and trade show booths. 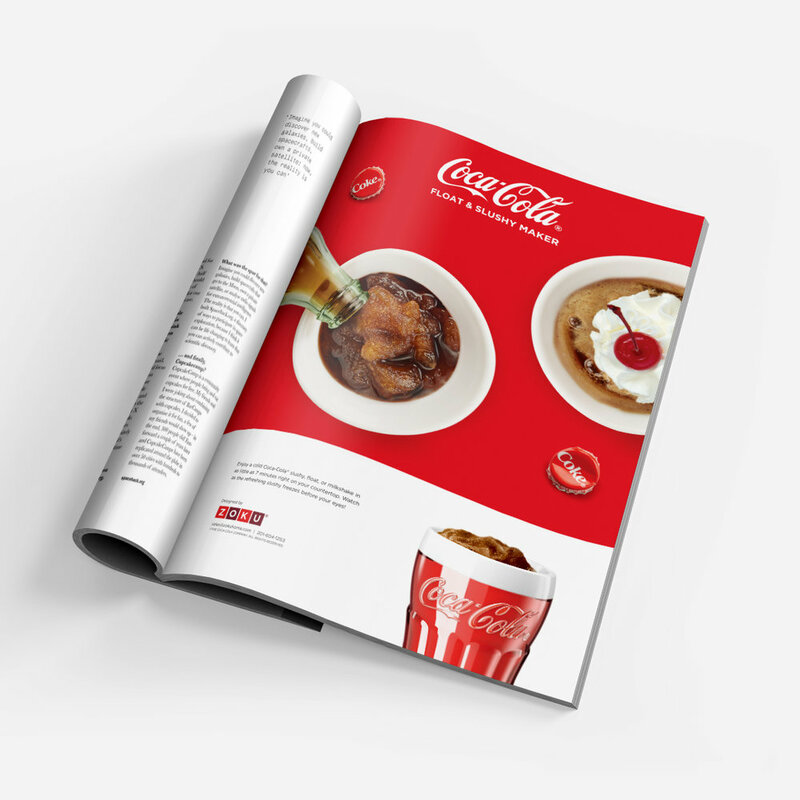 Projects involve concepting, layout design, hand-made mock up, communicating with overseas printers, and production artwork. I manage the priority and timeline of branding projects and direct outside vendors from start to finish. Create unique design for yearly catalog of new and existing products. Plan and execute yearly trade show advertisements based on annual budget. 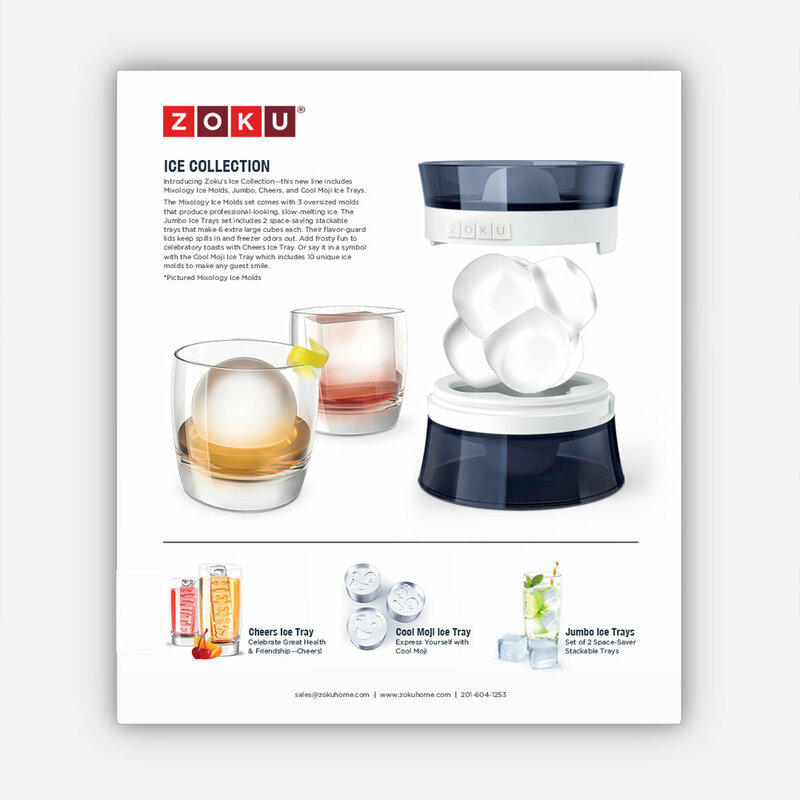 Below are print advertisements for Coca-Cola Slush Maker and introducing the ice collection. Work with sales team to produce materials highlighting new products. Create annual trade show press kits including folder, media card, and sell sheets for media.